Michele Henry-Lawler, left, and Jan Baker play pickleball at Willow Creek Park, where players want more courts. Pickleball, a sport that draws from ping pong and tennis and uses a whiffle ball, is often noted as one of America’s fastest growing sports. It’s growing so fast that sometimes players arrive at their favorite venues to find them packed,facing long waits between games. 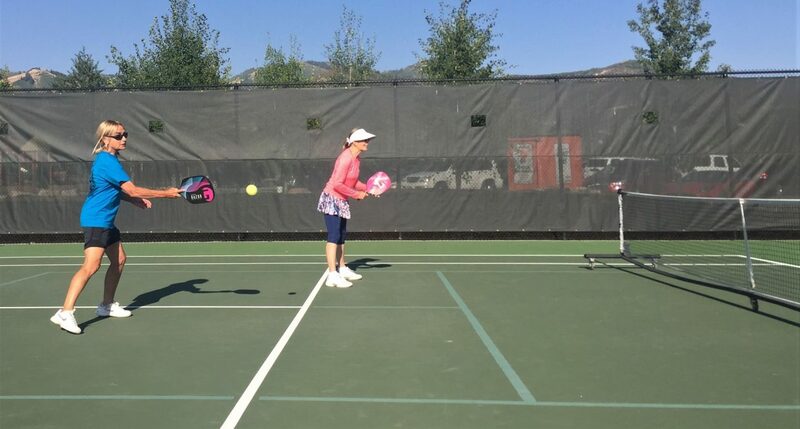 On Wednesday, a group of local pickleball players, including pickleball pro Kathy Pederson, gathered at Willow Creek Park to play, and to talk to the Park Record about the shortage of venues. By 8 a.m. the courts were already full, and Pederson was welcoming the trickle of players that was quickly turning into a crowd in the waiting area between the courts. She started to explain her role in the local pickleball scene again, before seeing a mother and daughter team walk in. 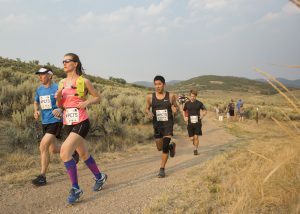 Pederson, who spends her winters in Arizona and the rest of the year in Park City, has been advocating for more courts at Willow Creek Park for years. “We feel like we’re the ugly step child,” she said, pointing across to the empty tennis courts. “Now, look, do you see any tennis players on this gorgeous, beautiful day? 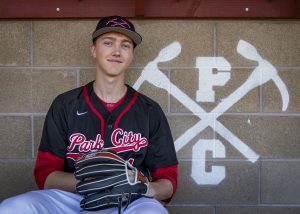 Peggy Loshin, who splits her time between Park City and Sun City Festival, an age-restricted community outside of Phoenix, said waiting is typical for players at Willow Creek Park. “We have to sit out a lot,” she said, adding it can take a player 30 minutes to get on a court. When Pederson looks over at the unused tennis courts, she sees misused space. Since eight courts can accommodate play for 32 people in the same space that tennis could accommodate eight people – and says that resurfacing Willow Creek would be the most cost-effective option, especially when compared with a tentative Basin Rec project to build courts near the Silver Creek exit off Highway 40. Willow Creek is by no means the only pickleball venue in town: there are four outdoor courts at the PC MARC, three courts in Basin Recreation’s Fieldhouse, three at City Park, and another four courts at Trailside Park. But for one reason or another the people at Willow Creek liked Willow Creek. “We’ve gone up to Trailside, but we’re only allowed to play there on Tuesdays and Thursday mornings,” Loshin said. Pederson said that, while she respects and understands that brick-and-mortar venues have to cover their overheads, pickleball is traditionally free to the public, like outdoor tennis courts, and tourists who come looking for a game usually show up at Willow Creek as opposed to going to the MARC or Fieldhouse. She added that playing indoors involves a different ball with a different bounce, so it is not the same game. But even the courts at Willow Creek are not perfect. “They did the lines wrong out here,” she said. The lines currently give one side less room to work with, so a player can’t chase down a deep lob or serve. Pederson said she and her fellow pickleball players would be more than happy to repaint the courts, and add the other four on the opposite tennis courts, if Basin Recreation provided the equipment. 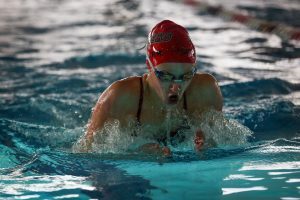 Gesturing to the park around her, Pederson said Willow Creek already has the bathrooms, the water fountains and parking necessary, and is the ideal place to make the county’s ideal courts. Basin Recreation sees the situation differently. He said because pickleball players tend to take over courts, making the tennis courts into pickleball courts would mean effectively making them single-use courts. “As much as (pickleball advocates) say there’s not as many tennis players as pickleball players, if you take away two of those tennis courts we would hear the same (complaints) from the tennis community,” he said. As for the pickleball players’ complaints regarding the court dimensions, Hanes said the layout of the pickleball courts shares the most lines with the tennis court (using the tennis court’s baseline as the pickleball court’s mid-line), and reduces confusion for players. 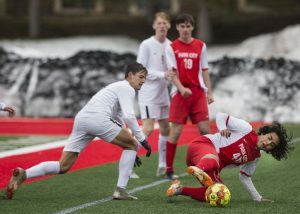 “There’s ways around it,” he said, noting that the teams switch sides during the game, so there is no inherent disadvantage for one team over the other during a match. “Yeah, it’s not the ideal situation; maybe it’s not at the world-class professional level, but we’re using community dollars and trying to make the best investment for everybody in everything we do,” he said. He said Basin Recreation is considering applying for a grant to build eight designated courts in Silver Creek Village – the site Pederson said was too windy. Hanton said the organization is considering building berms to combat the wind. He said if Basin Recreation doesn’t get that grant, it would reconsider adding pickleball lines on the remaining tennis courts at Willow Creek, but ultimately there are many projects competing for the organization’s money, including an ADA-compliant playground at Trailside.